In this article we will look at the origins, advantages, disadvantages and the trends in documentary or candid wedding photography. 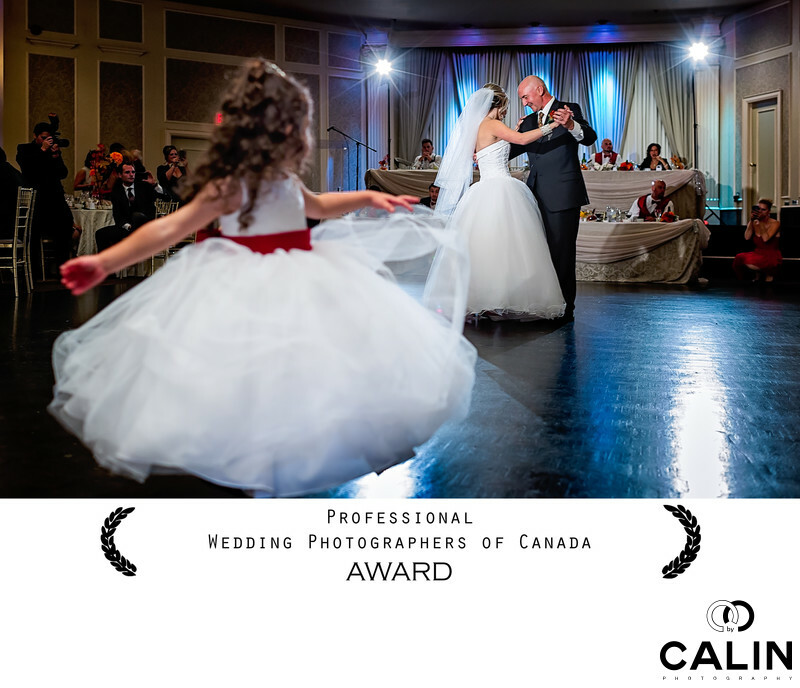 Candid wedding photography, also known as documentary or reportage photography, or photojournalism is a genre of photography where the photojournalist tells the story of the wedding day by merely observing the action without intervening or altering the course of events. This particular genre of photography derives from photojournalism, the craft used by news photographers to tell their story in images accompanying the articles. With the decline of print publications, many photojournalists found themselves without a job, so they transitioned onto documenting weddings and they followed the same principles. When it comes to weddings, there are various degrees in which artists direct the events from the traditional photographers who have complete control over the timeline, to pure photojournalists who adopt a fly on the wall approach. Between the two extremes, we find sub-genres called Posed Photojournalism, Creative Photojournalism, Reportage, Candid and Pure Documentary Photography. During the big day, the artists use posing and directing in various proportions as you can see below. Truth be told, most artists are hybrid photographers employing techniques borrowed from posed and reportage wedding photography in various proportions. Even members of photojournalistic wedding photography associations admit to giving their subjects loose directions in order to achieve their vision on the special day. After all, what matters the most for the bride and groom is a beautiful collection of imagery taken on their wedding day rather than sticking with a pure reportage approach. As nowadays everybody is posing as a documentary wedding photographer, there is a lot a confusion around the term. Technically, the PJ artist should not impact in any way the succession and intensity of events. However, most artists prompt the bride and groom then capture their reaction especially when the energy runs low during the special event. Posed photojournalism is a very traditional approach to wedding photography masquerading as a hands off genre. In fact, it involves a lot of posing and a list of shots that the photographer has to learn by heart. The artist uses the same succession of poses regardless of the location, subjects and other variables. The list of poses was used in the film days when the photographer noticed that couples required prints for certain poses, which made it onto the shot list. There are portions of the big day when the photographer only observes and documents the events, especially during the wedding ceremony and the reception. However, only about 10% of the big day is photographed in a photo-journalistic manner, while the rest of the day becomes a photo shoot in the artist's mind wants to control the timeline of the day. This type of photography is more popular in traditional countries, especially in the East where family and tradition still dominate the special day. This photography style is being slowly replaced by more natural, candid approaches to the craft and the event. Pros: delivers consistent results, fast. Cons: old, boring, rehearsed, lacking creativity. This particular style is blends composition, fine arts techniques, candid photography to create more abstract imagery worth of the name fine arts. Among the tools used by the performance of this style we can enumerate infrared cameras, prisms, crystals, tubes, Christmas lights, smoke, and freelensing to create unique images. What is freelensing? Freelensing is a special technique where the photographer detaches the lens from the camera and holds it closely in front of the sensor with his hand in various positions to obtain the desired effect. This is a particularly risky technique because it takes a long time to take a good photograph and we all know time is a luxury on the wedding day. Also, by detaching the lens, there is a risk that dust, sand, pollen and other airborne particles can enter into the camera and deteriorate the image quality. Pros: original, creative, resulting in outstanding images when it works. Cons: risky, time consuming, does not always materialize in good images when conditions are unfavourable, requires props (crystals, mirrors, etc). Besides, it takes the artist a long time to master this style. In a quest to deliver outstanding photos the artist might not miss important moments of the day. This style can be used when one of the two photographers shoots "safe." In this sub-genre of wedding photography, the artist still controls parts of the brides and groom preparation and the creative photo shoot. However, this style is more relaxed and candid than posed photojournalism. One of the tricks used by creative photojournalists is to ask their subjects never to look at the camera which gives the images a more candid, natural feel. Pros: delivers beautiful imagery that is fresh, artistic and timeless. Cons: it takes the photographer a long time to master this style. Reportage photography is derived from newspaper photojournalism and photographers who adopt this style become observers of the big day. There are of course a few exceptions when the photojournalist actually intervenes, such as family photos or traditional portraits of the bride and groom. Pros: fresh, modern, new, unrehearsed, original, exciting. Cons: it takes the wedding photographer a lot of experience to master the style, requires anticipation and speed of reaction. Also, lighting is not always the best as the artist can not direct the subjects. It could be time consuming and in a time crunch, things could go out of control. Also, the artist is not able to direct the subjects to look their best. This is a photography genre towards which everybody aspires, but which does not, does not exist. Even when the photojournalist doesn't direct the bride and groom photo shoot, she has to position the guests and family during the group photos session. The opening image in the article is an example of such shot. Many novice photographers lack the experience and are not able to direct on your special day. Posing and lighting take a lifetime to master so many beginners call themselves photojournalists to hide their inability to anticipate events, direct their subjects and create a beautiful photos. The bride and groom should exercise caution and ask a few probing questions such as how long the artist has been in business, can she show full weddings, what happens when it rains, and other similar ones so they can assess photographers experience as a storyteller. The photojournalist uses post processing software in a limited manner which is in line with the purist approach to the big day. This tradition has been borrowed from news photojournalists who are not supposed to doctor the images. As such, there is nothing done to an image besides colour correction, straightening horizontal the verticals, adjusting the exposure and maybe cropping the image so that the viewer can focus on the subject without being distracted. The photojournalist does not ad light to the scene or does it in a very discrete way that looks natural. They give the subjects a kiss of light that makes them stand out, without drawing too much attention towards the photographer. Because the artist loses control over the subject movement, emotions, posing and often lighting, she takes plenty of images from different angles, constantly moving. That requires a light equipment, often one small camera with a lens. Often the guests complain that the photographer is in front of them, but it is absolutely necessary to find an angle different of the guests so the images look different. In fact, by constantly moving, the artist does not bother your guests that much. The artist's job is to document the wedding day for the future generations. As such, he must be close to the action, which takes a lot of courage. After all, there have been cases when priests sent the photographers to the back of the church because they were intrusive and their presence disrupted the ceremony. Rather than react to the events unfolding, the photojournalist anticipates the next move of the subject and composes the image, then waits for the perfect expression. We consider ourselves creative photojournalists and we only observe and document the events for about 90% of the time. The beauty of this photography style is that it allows the artist to capture naturally looking images and moments. Such moments have a huge quality: they stand the test of time and you can be sure that the bride will look back with love and these moments we immortalized. Often, even when the light is perfect, the bride and groom look stunning and the backdrop is breathtaking, if the emotion is lacking, the artist will only photograph a pose. Unfortunately, pure reportage photographers can not intervene, so they will deliver an average looking shot. In our opinion, it is our duty to inject a bit of emotion into the frame so that we create a masterpiece for the couple when all the other conditions are present. Currently, more and more couples prefer the style and with the advancement of technology, we estimate this will continue. In the future, it is very possible that remote cameras will capture the whole event in a video format and using artificial intelligence, the photographer, sitting comfortably in a chair, will select the photos and deliver them at the end of the event, accompanied by a reel of highlights of the day and in rare cases, an album. How to Find a Reportage Photographer? One of the questions I hear over and over is how to find a documentary wedding photographer? First, Google documentary wedding photography . Second, ask your friends and family to recommend you a photojournalist. 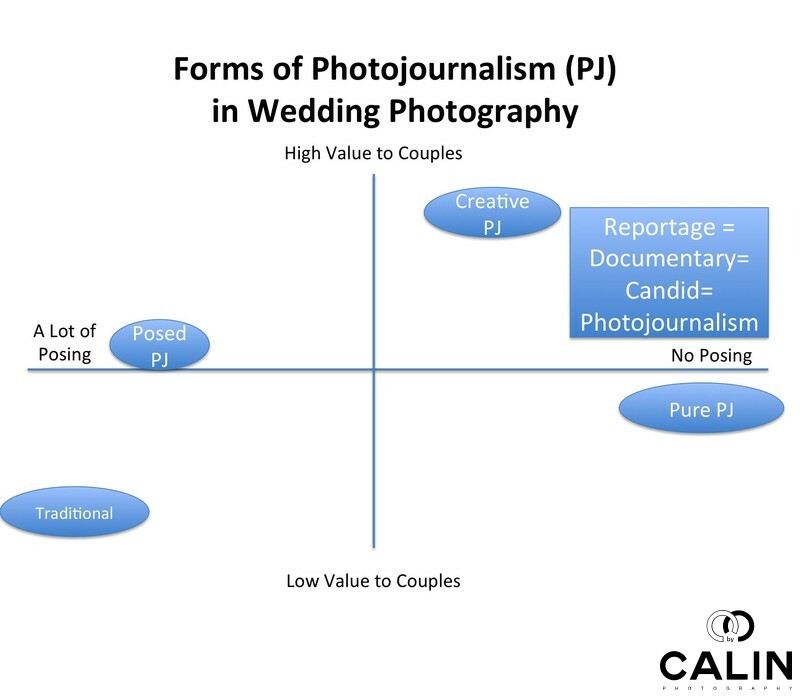 Third, approach photo journalistic wedding photography associations to find the most talented artists. Among them, I would recommend the Wedding Photojournalism Association, Artistic Photojournalism Association and ISPWP. Most artists call themselves photojournalisms, but the truth is that many of them lack the skills and the experience necessary to deliver consistent outstanding results on the wedding day.